Suelyn Wong (formerly Woo) passed away on March 15, 2018 after a short battle with Leukemia. 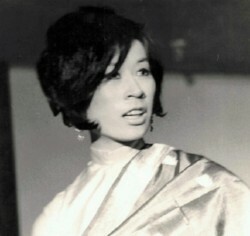 Born October 1935 in Los Angeles, she graduated from UC Berkeley majoring in Fine Arts. She worked as an artist and an elementary school teacher. 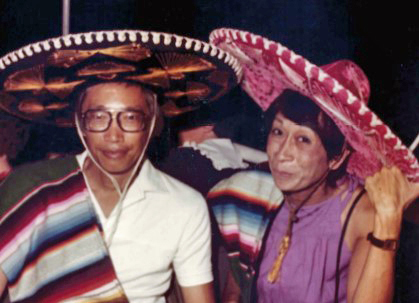 She met the love of her life, Herman Wong, while he was a reporter for the Oakland Tribune. After Herman accepted a position with the LA Times, they called the LA area their home for 30 years. They moved to Bainbridge Island, Washington in 1997. They were married for 48 years until Herman’s passing in 2015. The grace and strength, while she cared and supported Herman in his final years, was inspirational. She enjoyed seeing the world by land, sea and air. She RV’d throughout the U.S. and Canada. Cruised to Mexico, the Caribbean, Alaska, Europe, the Panama Canal and Hawaii. Flew to Taiwan (1975 one year stay), China (1982 ancestral village visit), Europe, Central Asia, Russia, the Far East and Mexico. Art was her passion. Whether creating, participating or viewing the arts, it was always part of her life. She was an active volunteer and participant at the Bainbridge Island Senior Center and sang with the Evergreen Singers. 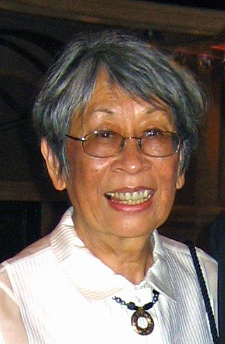 She is survived by her older brothers Bill Woo (Vera) and Chad Woo (Gloria) along with numerous nephews and nieces. They will miss her giving and caring nature; her creative and inquisitive mind; and her understated elegance and adventurous spirit. Per her request, there will be no service. Among the many gifts we have received from God, we are most thankful for you. Our fondest memories of you will always remain in our hearts. Rest in peace Suelyn dear. Your friendship and generosity of spirit stand out most in my mind, Suelyn. You were always bringing people together and inviting them to join you in one endeavor or another. I enjoyed Friday morning singalongs at the Senior Center with you (with lunch at T&C afterward), and loved going to the Messiah Singalong with you, and I enjoyed seeing "The King and I" with you. Mostly, I just enjoyed hanging out with you. We had such interesting conversations, and I felt I could talk to you about anything, anything at all, without fear of censure. That is such a rare quality in a friend, and I will miss you more than you know. Suelyn was a friend that I was always hoping to know more of and to be in the presence of more. I will miss our trips to Seattle and her guidance through the International District--being advised on what to purchase in shops and what to eat. It was a too-short friendship long on good memories. That will be her legacy for me. I became acquainted with Suelyn when we worked together with the Meals on Wheels program at the Senior Center. She was a warm and welcoming presence, receptive to hearing what others had to say. Her loving concern for Herman shone through. As we puttered about in the kitchen we gradually and easily shared thoughts and experiences in an easy going manner. I enjoyed and will miss spotting her at the library or having a chat somewhere along the street. I am so grateful for the warm welcome Suelyn gave to me -- and everyone -- at the Senior Center. Her positive nature and warm greeting will be long missed. I will always remember her generosity and gentle nature. Aware. She left our families a legacy. What a wonderful gift she left for us. Suelyn was a volunteer at Island Volunteer Caregivers, and always did her volunteer work with a smile and a graciousness. When Herman was alive, they would volunteer together. She was such an inspiration to everyone who came in contact with her, and we will miss her dearly. Her memory is a blessing to all.